Philadelphia Phillies manager Gabe Kapler. Gabe Kapler is not your grandparents' Phillies manager. He's not your parents' either. And the more you listen to the 42-year-old former player talk, you begin to wonder if he's even your manager. Simply put, you don't hear many people at his level, across any sport, talk the way the Phils' first-year manager does. Kapler has a way of doing things that is going to take some getting used to. Not because it's bad, but because it's different. He's part cool dad, part spiritual guide with a little motivational speaker mixed in for good measure. And he certainly doesn't shy away from the fact that he's unlike any manager this team has ever seen. In fact, it's quite the opposite. "We're not going to do something just because that's the way it's always been done," Kapler said Tuesday, offering a credo for the way he plans on running the team. "We're not taking a cookie-cutter approach." For example, Phillies practices will be starting later this spring than they have in the past. At various points during his first spring training press conference from Clearwater, Kapler mentioned different reasons for this time change. For the most part, it's because he knows not every person operates at maximum capacity when forced to wake up earlier than their body likes. For those who enjoy pre-dawn workouts, they're still welcome to come to the facility early and get some work in. But Kapler would rather his players sleep if they need it, wake up naturally, and then come to practice – even adding that on days following heavy workouts he might just tell players to stay home, rest and get a massage. The other reason? Because by the time his team hits the field, the morning dew will have evaporated, meaning the balls won't get wet and, in turn, the workouts will be more efficient. Seriously, he said that. Pitchers and catchers officially report to Clearwater on Wednesday, with the full squad scheduled to join them next week. 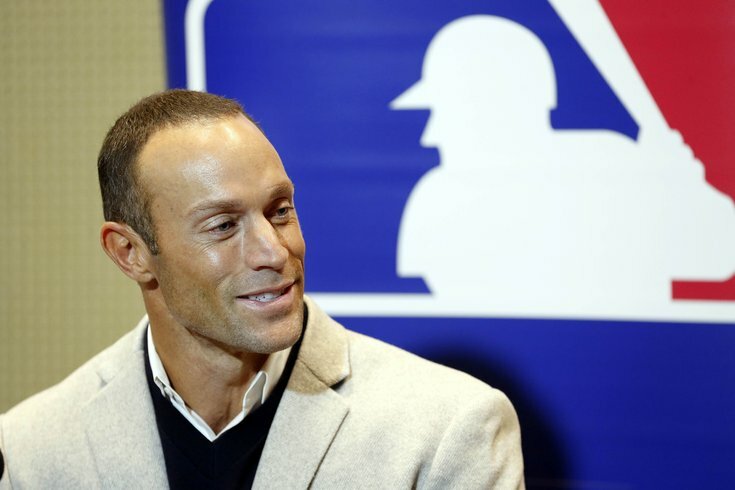 While many are there already, Kapler said he hasn't met every player face-to-face just yet, but he has exchanged text messages with each of them. Getting to know his players will be crucial for Kapler, not just because this is his first season, but because he seems to be taking such a player-first approach. He said several times on Tuesday that he plans on treating each player differently, from when they wake up in the morning to how he communicates with them. In other words, he wants to mold the team to fit his players, not force his players to fit any certain personality. But more than anything, Kapler wants his players to feel comfortable being themselves off the field so that they'll feel just as comfortable on the field. That's his mission statement of sorts, one that he'll sharing with his players at the start of spring training. "Yes, I know what that message is, with a tremendous amount of clarity. And it's critically important – it's everything," Kapler said, adding that he was only willing to share a part of his overall message. "One of the questions I've been asking a lot of our players is, 'What does it mean to play boldly?' What does it mean to deliver a pitch boldly, what does it mean to take a swing in the batters box boldly, what does it mean to communicate boldly? And what I've gotten in return is: with conviction, with fearlessness, courageously, with intent. "Asking our players to compete like that, building an environment without fear – we know that when we walk into a room or out onto a field, and we feel like we're going to be judged or condemned for every little thing, we get paralyzed and we can't act. We lose that boldness; we lose that conviction; we lose that intent. So the thought process is to create the environment where people feel like they can be bold and comfortable. That's the crux of the message. It's not the only message, but it's a big part of it. "And, ultimately, the message is we can win. Right? And it's not like it's a delusional statement, like we didn't watch what happened last year at various points. It's more, like I said, we all take that small step forward, we all get a little bit better, we all develop just enough where we surprise people." The way Kapler wants to relate to his players and not mute their individual personalities sounds somewhat similar to another coach in this town who took over a rebuilding team without any previous experience in that position, one who surprised more than a few people this year. That's right, Eagles head coach Doug Pederson, who helped bring Philly its first Super Bowl title in just his second year on the job. And you better believe Kapler was paying attention to how Pederson not only went about the business of building a championship atmosphere in such a short amount of time, but how that may have contributed to a title run almost no one was expecting back when their season started. "I think if everybody on our roster takes a small step forward, we have an opportunity to shock people. And that's the message that we're going to convey in camp." So what does shocking mean for a young Phillies team that finished last in the NL East and posted the third-worst record in all of baseball (66-96)? "I think it means being very competitive when September rolls around, being in the mix, being in the hunt, fighting for the National League East," Kapler said. "I don't think there has to be any major declaration made here. We're fighting for the National League East in September." And the first-time manager doesn't appear to be bluffing. Asked if he believed there was a legit chance of that happening this season, Kapler didn't blink before emphatically answering yes. "We have the personnel," Kapler continued, "and we have an organization that supports that initiative, and we have an ownership group that has demonstrated that they are very willing to do what it takes to get us to the next level, and we have a front office that's mining the world for every competitive advantage, and we have young talent that we believe can develop quickly enough to make that a reality."